Being a new mum is hard. At times, it is unbelievably and unimaginably hard. 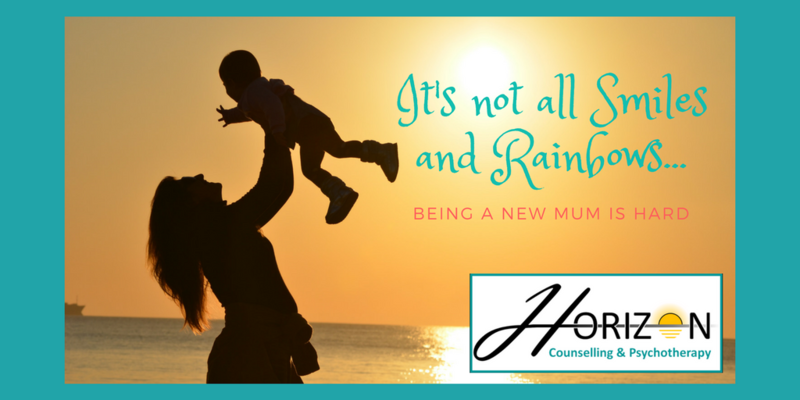 Prior to becoming a mum myself, I worked with many new mums during the postnatal period while working as a counsellor at my local children’s centre. It was in this role I began to discover how complex the transition to motherhood can be for many women. New mums naturally experience a whole range of emotions during those early days, weeks, months and years! Society and the portrayal of motherhood in the media will often have us believe that, as a new mum, we should be totally in love with our new bundle of joy and that this period should be one of the happiest times of our lives. Of course, it can be those things, but for most women these are not the only feelings they will experience. Just looking after a new born 24-hours a day, and being completely responsible for a tiny helpless human being, can feel incredibly overwhelming. Add dealing with frequent (sometimes endless) crying and severe lack of sleep, night after night, is enough to affect anyone’s wellbeing and emotional state. Experiencing low mood, ranging from mild to extremely severe, is not uncommon during the postnatal period, particularly if the reality of motherhood differs radically from the mother’s expectations prior to having a baby. 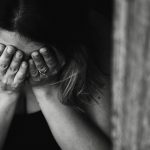 Some mums find themselves becoming extremely anxious, which can manifest itself in countless different ways. Guilt is another difficult yet common feeling experiences by mums, which may be related to their other emotions (e.g. “I feel guilty for feeling sad when I should be feeling happy”) or could be linked to failing to meet the incredibly high, unrealistic expectations many mothers set themselves. New mums can also find themselves struggling to come to terms with their birth experience. Some women find their birthing experience traumatic, and others may experience strong feelings of disappointment because things didn’t go how they’d planned or imagined. Having a baby born prematurely or with serious health problems is also incredibly stressful, which can have a huge impact on parents’ mental health. 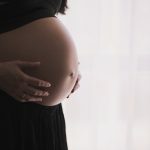 Underlying difficulties from before the birth can also come to the surface while the mother is feeling particularly vulnerable in the early postnatal period. For example, difficulties trying to conceive, experiencing one or multiple miscarriages or stillbirths, problems with the mum’s or unborn baby’s health during pregnancy, the breakdown of a relationship, or even painful feelings connected to the new mum’s own childhood. Additionally, many new mums struggle with losing aspects of their identity. Being a mother becomes part of a new identity, but other things need to shift around to make way for this, which can leave new mothers wondering who they are and what on earth happened to their ‘old self’. There is less time for self-care, hobbies and interests, and relationships can suffer too. This generally improves over time as the baby gets older and things aren’t quite so intense, but it can feel really overwhelming at times. One thing I have learnt from my personal and professional experience over the years is that everyone’s experience of motherhood is different and unique. But at the same time, there are also many similarities in people’s experiences, and it can be such a relief to share these experiences and struggles with other mums! Meeting other mums-to-be at an antenatal class can be a great way of having support and feeling less alone in those early weeks and months after your baby is born. Attending a local parent and baby group or baby class such as baby massage are also great ways to make friends with other new parents going through a similar experience. What’s important to remember is that when you do meet other mums, it can be easy to look at them and think “They’re clearly coping way better than I am”. But chances are, they are themselves finding certain aspects of parenting extremely challenging and may well be putting on a brave face while out in public. If you’re feeling particularly anxious or low, attending groups and classes may feel too difficult and overwhelming. You might find online support groups more accessible for getting help and support during the early postnatal months and beyond. This could be a group specific to a particular difficulty that you are experiencing (e.g. traumatic birth, postnatal depression) or a specific aspect of parenting that you relate to or need help with (e.g. breastfeeding support, a particular parenting approach etc). Some mums who find that they are struggling might benefit from working with a counsellor or psychotherapist on the issues specific to them and their situation. 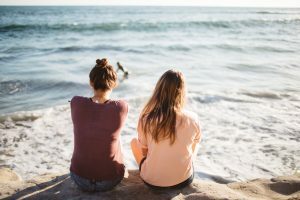 Counselling gives these mums an opportunity to talk through and explore their feelings and experiences, without the fear of being judged or worrying about burdening someone they know. It can help them to find a way forward to feeling happier and more positive, and most importantly, being able to enjoy the time with their baby and their new role as a mother. Over the coming months I hope to write more blog posts about some of the specific things that can make becoming a mother so difficult, in the hope that they will provide some comfort and reassurance to those who are experiencing similar difficulties, and perhaps they will also serve to inform others who are not mothers themselves about the difficulties that can arise during the transition to motherhood. If you, as a new mum, are experiencing difficulties during pregnancy and/or the postnatal period, you are perfectly normal, and this does not make you a bad mother. You have absolutely nothing to be ashamed of, and deserve to be supported and treated with compassion and understanding. Please don’t suffer alone. Talk to someone about how you are feeling, whether that be your husband/partner, a family member, a close friend, your health visitor, GP, or a counsellor or psychotherapist. There is help out there to support you through this and help you to feel better.